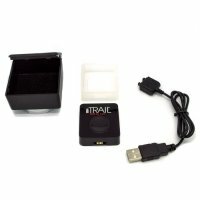 The iTrail GPS Logger is a compact and easy DIY solution for your tracking needs! it is one of the smallest GPS Tracking devices on the market at just 1.5 x 2.5 inches in size. You cannot beat the value of this DIY GPS tracking solution that comes with no additional monthly fee. You just pay for the device itself and you're ready to go. 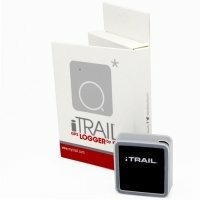 Recently updated software makes the 2nd generation iTrail Logger even easier to use. It comes with everything you need, including updated software and a USB Cable, to quickly and easily install on your computer and start charging the battery. After tracking use, simply connect to your computer to see everywhere you device has been. 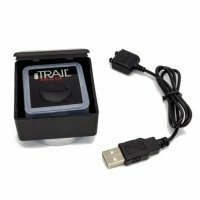 The iTrail GPS Logger records the location, speed and the current time of each event. The device logs all of your tracking data using Google Maps or Google Earth. You can download and print the information your tracker has recorded and easily share it. This GPS Tracker has up to 16 hours of battery life and can store up to 120 hours of tracking data. The device is triggered by motion activation, meaning it will preserve battery life when not in motion. You can use the iTrail Logger to track your teen, your car location, your spouse, the elderly, your young children and so much more. Or use it in business to track employees, valuable equipment and for loss prevention and inventory control. It is also a great solution for undercover law enforcement tracking. It's water-resistant, sleek black design makes it very discrete so you can hide it almost anywhere in anything. Yes, we mean anywhere! Including a child's backpack, a purse or the glove compartment of your vehicle. Even better, it comes with a magnetic case so you can securely mount this tracker under the hood of your car. 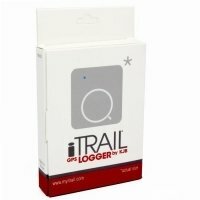 Track what matters most with our iTrail Logger GPS tracking device.